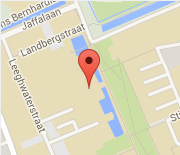 Tenure-Track Vacancy at the Delft Haptics Lab! We are currently looking for an excellent candidate to strengthen our team especially for the (tele-)robotic applications. For our vacancy for an Assistant Professor (tenure-track) or Associate Professor (tenured) position, a candidate should have a proven track record in scientific research, an innovative research vision, and a commitment to education. A main focus of the 3mE faculty at Delft University of Technology is the development of intelligent robotic devices that will advance mobility, productivity and quality of life of people. The department Cognitive Robotics (CoR) has the mission to bring robotic solutions to human-inhabited environments. We combine fundamental research with physical demonstrators in areas such as highly-automated vehicles, collaborative industrial robots, mobile manipulators and haptic interfaces. Strong collaborations exist within our faculty, cross-faculty institutes (TU Delft Robotics Institute and TU Delft Transport Institute), our national robotic ecosystem (RoboValley, Holland Robotics), as well as with international industry and academia. One of the sections within the CoR department is Haptic Human-Robot Interaction. Our research vision is to provide society with knowledge and technologies that allow effective control, interaction, and co-operation between humans and robots, facilitated by mutual adaptation and learning. One of the challenges is to design bi-directional communication so that human and robot understand each other’s limitations, capabilities and intentions. Our focus is on using haptics to enable such bi-directional communication that allows adaptation and learning, thereby facilitating (tele-operated) manual control, shared control and co-operation between human and robot. We perform our research, education and outreach together in a vibrant lab: www.delfthapticslab.nl, with applications in intelligent vehicles and tele-robotics.